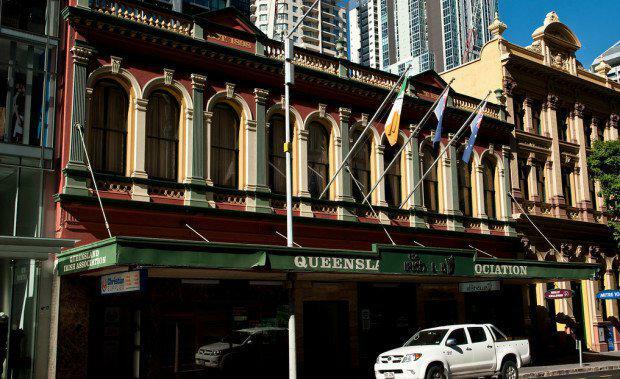 The Queensland Irish Club's property at 179 Elizabeth Street is on the market for the first time in its 95-plus year history. The heritage-listed building in Brisbane’s CBD is on the market via an Expressions of Interest campaign. The site has the potential to be used for a multitude of options, including hotel, residential, student accommodation and office. The campaign is expected to achieve strong interest due to its unique characteristics and future potential. The property is being offered either as a straight sale of the heritage freehold investment or a potential volumetric subdivision investment sale to incorporate the Queensland Irish Club. The 2,200 sqm building, located at 179 Elizabeth Street in the heart of the Brisbane CBD, features a heritage building known as Tara House. The building incorporates classic detailing and architectural design. Currently owned and occupied by Queensland Irish Club, the property is now under liquidation through David Clout and Associates. Knight Frank’s Justin Bond, Senior Director of Institutional Sales, and Knight Frank’s Manager, Commercial Sales, Tom O’Driscoll, are exclusively managing the sale on behalf of the liquidator and Queensland Irish Club and say that this is the first time the property has ever been sold in its 95-plus year history. According to Mr O’Driscoll, “This is a great opportunity for an astute investor to purchase a unique heritage building in a sought-after CBD location. "The latest Brisbane CBD development sales were at 240 Margaret Street and 30 Albert Street, bought by Singaporean investor Aspial for $30 million and $36 million respectively. The most recent CBD heritage building sale, which was handled by Knight Frank, was the Brisbane Polo Club building for $10 million to a private Singaporean investor.